Meditation is gaining popularity at a high rate in today’s world. There are so many benefits associated to its practice. Different types of meditation exist out there, but in this article, we will focus on Vipassana Meditation. Vipassana meditation is also known as insight meditation. It’s the precise and exact awareness of things that are happening as it happens. It means seeing things as they really are. It involves practicing continued paying close attention to sensation and by doing that, you will be able to understand the true nature of existence. It is a state that brings the mind to rest by focusing on a specific item. Vipassana Meditation is believed to be India’s most ancient form of meditation that was once taught by the Buddha himself. The learning of Vipassana requires a 10-day residential course with the help of a trainer. There are two major types of Vipassana: Goenka and Mahasi. Goenka Vipassana meditation entails the slow scanning of the body. S.N Goenka was permitted to teach Vipassana by the late Burmese Vipassana teacher known as Sayagyi U Ba Khin. Goenka began conducting it in India in 1969. The act of slow body scanning is continuous and it leaves you with an exhilarating experience. If you put on enough energy and willingness, Goenka meditation leads to total body awareness. Mahasi Vipassana meditation involves mental noting. Noting involves focusing on your breath and allowing the mind to roam to the object of the minds wandering. It allows the use of words to identify and sustain a stable concentration to a particular experience. For instance during noting you can repeat your chosen word over and over again. Noting covers all sorts of experiences and enables you to focus on a particular aspect that is predominant in your conscious at that very moment. It interrupts your thoughts and breaks your experience to the original building blocks. The practice of Mahasi meditation is known to bring about the revelation of valuable insight. Vipassana meditation aims at self-discovery, using the process of mindfulness. You slowly become aware of what’s actually lying beneath the image you portray. It awakens you to the reality of life. It is a form of mental training that gives you the experience of the entire world in a new way. For the first time in your life, you will be able to distinguish what is happening to and around you. For you to learn this meditation, you must let go all the stereotypes and prejudices you are familiar with. You must have the attitude of an individual willing to learn and to understand the true nature of life. Vipassana also employs the aspect of focusing of your attention. For you to develop awareness, you must be able to concentrate. As easy as you think concentrating might be, it can be quite hard. The mind is tricky. For you to focus better, you must train yourself. This is why Vipassana meditation suggests practitioners to focus on their breathing. It takes a lot of time and practice, but it’s worth it. Once you succeed, you will get a whole new experience of life. What do you think about this type of meditation? Have you ever taken the 10-day Vipassana course? Please let us know by leaving a comment below. 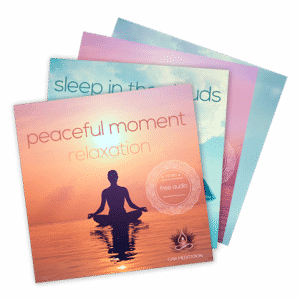 If you’re a beginner, you’ll find a few tips to start meditation as well as top quality guided meditation audio tracks.